A five-year-old Papua New Guinean boy named after Kevin Rudd says he's happy his namesake has become prime minister again and is waiting for a phone call from "Big Kev". 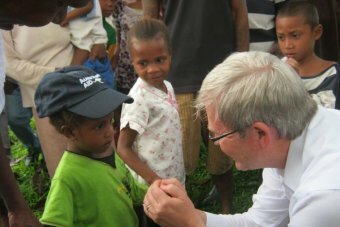 In 2008, then-prime minister Kevin Rudd visited a health clinic in PNG's Eastern Highlands just as a baby was born. The parents named the boy in honour of the visiting prime minister and Kevin Rudd Junior has since become a minor celebrity in the area. Kevin Rudd Junior's uncle Loven Forapi says the boy was overjoyed when he heard the news. "Little Kev says he loves him so much and he's so happy that he got the post," Mr Forapi said. Mr Forapi says the village was excited to hear Mr Rudd had been re-appointed as prime minister. "Almost half the district is celebrating, in a celebrating mood," he said. But the initial excitement turned to disappointment as Kevin Rudd Junior waited by the phone for a call from the prime minister. "He was expecting a call from his namesake early morning…til lunch," Mr Forapi said. Kevin Rudd Junior is still waiting and practicing his message in English to prime minister Rudd. "Hello … My name is Kevin … K.E.V.I.N, Kevin," Rudd Junior rehearsed. The goodwill that has come from this unlikely pair of Kevins has been a boost to both nations as they work to strengthen diplomatic ties. Mr Forapi says his five-year-old nephew wants to study until at least Grade 7 and then Kevin Rudd Junior has ambitions for a reunion in Canberra. 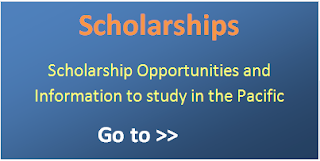 "His wish is to be with Kevin Rudd and his immediate family," Mr Forapi said. "We have a very, very close feeling that Big Kev is part of us." By the time Little Kevin is old enough to visit Canberra, Mr Rudd may no longer be Prime Minister, but he will still be a 'Kevin Rudd'.